Monsters, Inc.’s Mike and Sulley will be returning with their very own TV series. Truly a power move guaranteed to hack off that jobsworth Randall Boggs. Billy Crystal and John Goodman will be reprising their roles as the loveable monster besties, with a brand new animated series due to air in 2020 on the Disney streaming platform, Disney+. Monsters At Work will reportedly be produced by Disney Television Animation, with inspiration taken from the city of Monstropolis, a world we first entered through Monsters, Inc. (2001). As reported by Deadline, the plot will pick up six months after the original story. Following Mike and Sulley’s innovative discovery that laughter is ten times more energy efficient than screams, the Monsters, Inc. power plant has certainly moved with the times. The focus is now upon powering Monstropolis through children’s laughter rather than through their petrified screams. Rather than ‘Scarers’, the business now employs ‘Jokesters’. Monsters At Work will follow young Monsters, Inc. Facilities Team (MIFT) mechanic Tylor Tuskmon (voiced by Ben Feldman). Ambitious Tylor dreams of working his way up the ladder to the factory Laugh Floor, working as a Jokester alongside his heroes Mike and Sulley. 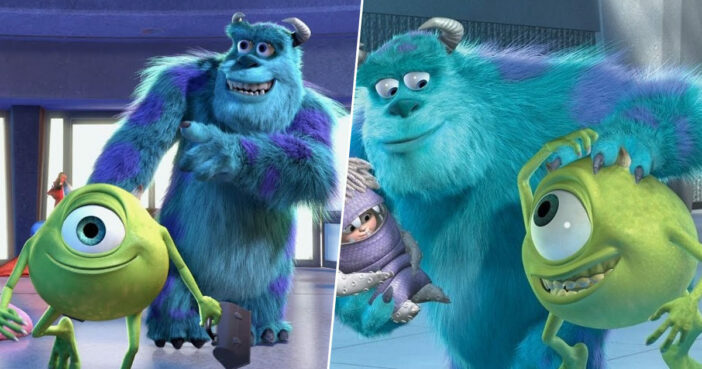 Crystal and Goodman aren’t the only ones from Monsters Inc and 2013 sequel Monsters University to be hopping back through the door into this beloved universe. John Ratzenberger will bring back Yeti as well as a new character, Bernard. Jennifer Tilly will voice Celia Mae; while Bob Peterson will voice Roze, twin sister to original Monsters, Inc. character, Roz.